Pho [ pronounced fuh] is the Vietnamese national dish; an aromatic, nutritious and delicious rice noodle soup served with a side plate of fresh herbs to add as you please. Find us on the corner of Clare Street and St Stephen Street inside the beautiful bathstone facade of Clare Street House. With around 70 covers the dining space has high ceilings, large windows and huge wicker lights to create a cosy atmosphere. 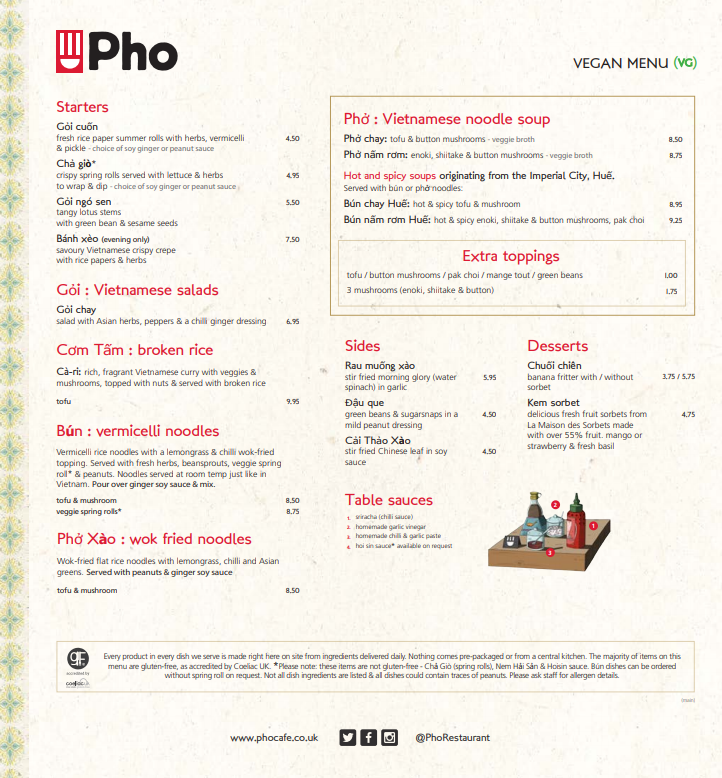 Pho To Go and eat-in available, as well as kids menus, high chairs and disabled access/loo. Most of our vegetarian dishes are also vegan – this is because the majority of our menu is egg and dairy free. Dishes like vegetarian summer & spring rolls, tofu and mushroom pho are vegan with veggie or spicy stock. Some of our dishes contain fish sauce for seasoning so just be sure to mention you are vegan to a member of staff when ordering and ask for no fish sauce. Nuoc Cham which is served with all bun dishes contains fish sauce so ask for ginger soy.